Are you getting ready for the big day? Achieve a picture perfect smile for your wedding day with cosmetic dentistry and orthodontic treatments for brides and bridesmaids in NYC. 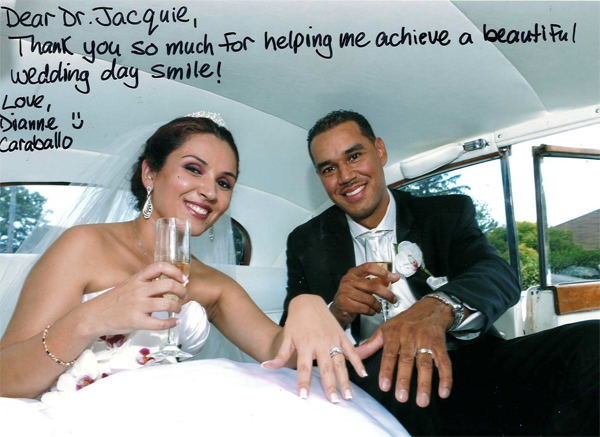 Dr. Jacquie Smiles specializes in wedding smiles for her patients in NYC. Thank you for visiting us at the Dream Wedding Showcase. Getting married is an exciting time and a lot of planning goes into creating that special event. Dr. Smiles will help you smile for all of the photos that will be taken during the day and night. These photos will be looked at time and time again…so we want to be sure that you are looking like a star and happy with those pearly whites. Have you gotten all of your last minute details ironed out for your wedding? The perfect smile would complete this perfect picture! Dr. Jacquie Smiles helps brides on Long Island create the smile of their dreams every time they smile and each time they open their wedding album. Don’t be disappointed with your smile. We can help straighten and whiten your teeth for your special day. Accelerated orthodontics treatments are also available which may take only about 3 to 9 months to achieve the desired smile you have always wanted. Straighten your teen without metal braces within few months. 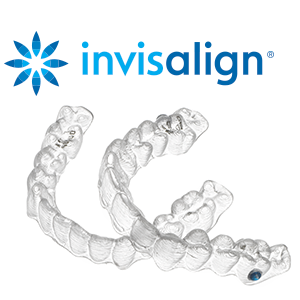 Invisalign is a state-of-the-art alternative to braces that is virtually undetectable to other people. Invisalign straightens your teeth, not with brackets or wires, but with a series of clear, customized, removable appliances called aligners. Cosmetic dentistry involves specific procedures that are intended to create positive changes to your smile. A “wedding smile makeover” improves the appearance of your smile through one or more cosmetic dentistry procedures. Dr. Jacquie and her team of orthodontists and licensed dental professionals will work with you to develop a treatment plan that is best suited for you so you can be ready for your wedding day. We offer dental veneers, dental implants, bonding, crowns, inlays and onlays, enamel shaping and other options. Maintain a beautiful, brilliant white smile for those wedding photos with a professional teeth whitening treatment. We offer Zoom! Teeth Whitening services for brides who want to enhance their smile for their special day. Feel more confident when you smile by scheduling professional teeth cleaning treatment before your wedding. Our teeth cleaning sessions include gentle polishing of the teeth for a brighter and more attractive smile. Orthodontics is a part of dentistry that specializes in the prevention and treatment of dental and facial irregularities. Orthodontic treatments help move teeth that are crooked or that do not fit together right. By fixing these problems, orthodontics can also help keep your mouth healthy. Crooked teeth can be harder to clean, putting you at risk for cavities and gum disease. We look forward to seeing you! Don’t forget the groom and his side of the wedding party. A bright white smile makes a great gift! Don’t wait! To schedule your cosmetic dentistry and Invisalign orthodontics consultation in NYC, please call us at 212-972-3522 or use our contact form to receive additional information on how you can achieve your wedding ready smile.